Hate is a strong word. For the one who feels it, it is at best an emotion. For the others, it is a cause for dissection, to conclude the primal reason for such a strong emotion. Most often, we encounter both these aspects ourselves, holding a particular reaction of hate under the scanner of reason long after we have experienced it. If this were to prompt hysterical laughter, so be it. I would too. Happens when you listen to what a clumsy teenager then, coming of age in the late 80’s, felt about a blockbuster from yore. With some movies, even though you wouldn’t classify them as innately cerebral or artistic, pop appeal gains credence and places them on a mantel that is pure adrenaline. Name it style or what, oomph or razzmatazz, anything that closely resembles a 190 proof shot of alcohol can be deemed a knockout and then some. 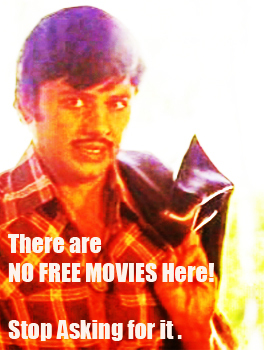 Irupatham Noottandu came all guns blazing, no pun intended, when it hit the cinemas in 1987. The Most Memorable House Owner in Malayalam Cinema. Ever. Intricate and innocent – hardly the pair of words you would associate with the quintessential species called the ‘house-owner’ seen in Malayalam movies through the years. In my college years, I spent a great deal of time living in rented houses and had my share of interaction with this species. None of it was heavenly and, if at all I did gain a perspective about them, it wasn’t the least laudatory. They would fight with you for the rent (inevitably late! ), spy on you lest your female friends made it a habit to visit you for socially questionable reasons, and face a barrage of questions every time your mates descended for a raucous party which would shake the neighbourhood and leave everyone’s eardrums in tatters. Life as a tenant was essentially about time spent in pursuit of clandestine arts – how to hoodwink and how to deal with a pest called the ‘house-owner’. Continue reading The Most Memorable House Owner in Malayalam Cinema. Ever. The Vadakkan Pattukal Legacy on Celluloid. Way back in the mid-60’s, Clint Eastwood and Sergio Leone transformed spaghetti westerns to such a degree that these movies walked right out of Hollywood and caught the fancy of millions of cine-goers all around the world. It still maintains its chunk of admirers in India – the Texan drawl, the ‘fastest draw’ and a fancy for Louis L’Amour – all of them pointers to the fascination for the sheer effect of incredulity and larger-than-life characters who were progeny of a harsh, unforgiving landscape and glorified the underdog’s tilt at social class windmills. Continue reading The Vadakkan Pattukal Legacy on Celluloid.